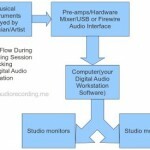 What is the difference between dBFS, VU and dBU in Audio Recordings? 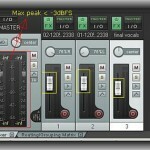 Tags: Loudness in audio mastering, OS and DAW optimization. 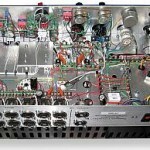 As you have immediately observed, the analog VU meters allow signals above 0VU (see the red section) in the meter. However, with digital dBFS meters the maximum possible signal is limited to 0dBFS. This is the loudest signal that can be represented in digital domain without distortion or clipping. Beyond 0dBFS, the signal will be cut-off resulting to clipping. Since the maximum is 0dBFS and all allowable signals should fall below 0 (-1dBFS, -2dBFS, -3dBFS, etc.) there is no such thing as +3dBFS or any positive values. 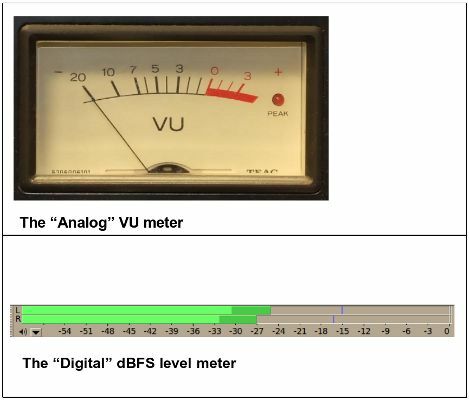 Using the above chart, you can easily understand that 0dBFS (maximum digital audio signal level) is equal to +24dBU in analog. +3VU is roughly equal to -17dBFS and +7dBU. 1.) No analog signal or voltages should be described in terms of dBFS. All analog audio loudness level should be described in terms of dBU or VU measurements. 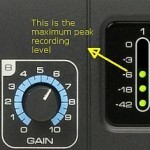 All digital audio loudness level should be described in terms of dBFS. 2.) 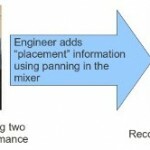 When recording analog signals, monitoring for clipping is usually observed in the software. To allow more headroom in digital, maximum peak amplitude is -6dBFS. Since the dBU equivalents for 0dBFS can change with respect to implementation, it is best to look at your digital level meters for monitoring recorded signals. 3.) 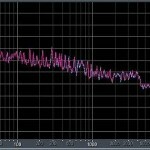 Mix down maximum peak amplitude is usually in -3dBFS to -6dBFS to allow more headroom in mastering. 4.) It is usually the best practice to never exceed 0dBFS (peak) in digital in any stages of music production (recording, mixing and mastering). Even in mastering, more than 0dBFS cannot be represented by any analog voltages after DAC (digital to analog conversion) hence resulting to audible distortion; unless you intend to distort as some form of creative effect, but it’s not recommended.